The Manitowoc Company Inc. Manitowoc MTW is poised for growth backed by product innovation, focus on cost controls and pricing actions. Also, the recent improvement in its order activity signals improvement in the general crane market, which bodes well for the company. Shares of this Zacks Rank #3 (Hold) global manufacturer of cranes and lift solutions have rallied 22% year to date, outperforming the S&P 500 Index’s gain of 11%. The company also carries an impressive VGM Score of A. Here V stands for Value, G for Growth and M for Momentum with the score being a weighted combination of all three factors. VGM Score helps identify stock with the most attractive value, best growth and most promising momentum. Here we take a quick look at the factors that make Manitowoc stock worth holding on to. 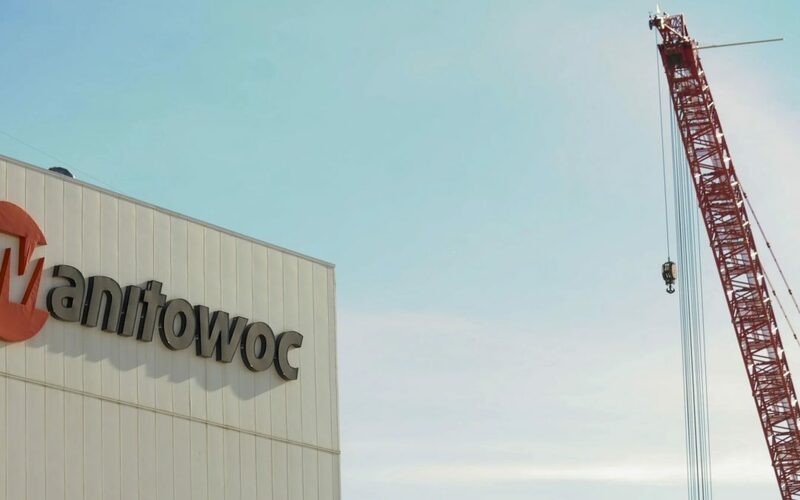 Strong Q4: Manitowoc reported fourth-quarter 2018 adjusted earnings per share of 16 cents, reversing its prior-year quarter’s loss of 15 cents per share. Revenues increased 7% year over year to $515 million. The company beat the Zacks Consensus Estimate on both counts. It witnessed improved demand in the Americas, driven by higher shipments of cranes for the commercial construction and energy end markets. Robust Order Flow Bodes Well: Manitowoc’s full-year 2018 orders totaled $1,910.7 million, a year-over-year increase of 3%. This upside in orders can be attributed to new products and favorable market conditions. In Americas, demand is being led by the commercial construction and energy end markets. The North American oil and gas environment continues to improve with investment in upstream well completions continuing to drive crane utilization and replacement demand. Manitowoc’s backlog totaled $670.6 million as on Dec 31, 2018, an increase of 11%, from the 2017 backlog, thanks to improved demand in the U.S. markets. Currently, more than 75% of the year-end backlog is scheduled to be shipped in the first half of 2019. This provides improved revenue visibility for the year. Upbeat Guidance: Manitowoc initiated fiscal 2019 revenue guidance at $1.85-$1.95 billion. Compared with revenues of $1.85 billion in fiscal 2018, the mid-point of the guidance reflects year-over-year growth of 3%. The company also provided EBITDA guidance at $125-$145 million for fiscal 2019. The mid-point of the guidance projects year-over-year growth of 16%. Manitowoc also provided outlook for capital expenditures at $35 million for the current fiscal year. The Zacks Consensus Estimate for current-year earnings per share is pegged at $1.31, representing a year-over-year increase of 105% on 3% higher revenues of $1.91 billion. For fiscal 2020, the Zacks Consensus Estimate for earnings stands at $1.80, projecting year-over-year growth of 37%, while the estimate for revenues is pegged at $1.99 billion, a 4% rise year over year. Pricing Actions, Cost Control to Support Margins: Manitowoc continues to execute its strategy to cover cost inflation through pricing actions. The company remains focused on cost controls, reducing headcount, increasing productivity and eliminating waste. It is also taking aggressive steps to support supply-chain partners to ensure timely delivery of components, combined with alternative sourcing strategies. Manitowoc has also provided in-house labor to weld the finished components, in a bid to keep production lines flowing. This will support its financial goals. Innovation to Provide Competitive Edge: Manitowoc’s focus on innovation will continue to aid it in leading the industry by providing differentiated products that add value to its customers. The company introduced the tower crane at Bauma, China, called the MCT 565, for the Asian market. Following the positive reception, the company is now developing an entire range of tower cranes in China for the Asian market, which will enable it to grow organically in the region. Manitowoc is also set to introduce six cranes at the upcoming Bauma Trade Show in Munich, Germany, in April. Positive Earnings Surprise History: The company has surpassed estimates in the trailing four quarters, recording an impressive average positive earnings surprise of 113.9%.